Simply the best marquee stepladders around. 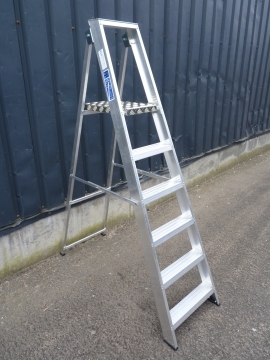 These stepladders are very heavy duty, certified for industrial use but are light enough to easily move around. They are shorter than most marquee poles so can be used working at the eaves or apex of our marquees (9x12m marquee would need taller steps from the same range, ?POA).